Buying a car is one thing and experiencing what it offers is another. It baffles me when a vintage car is auctioned out for millions only to be preserved in a garage of retro machines or a museum as a piece of art. Here’s a story of a man who defied this common trend and clocked the miles out till he passed away. Irv Gordon was a notorious man in the realms of classic cars mainly due to his connection with the Volvo P1800S. Their bonding was so much that they travelled together more than three million miles and eventually set Guinness World Record. His P1800S was the single production car with highest mileage count ever. 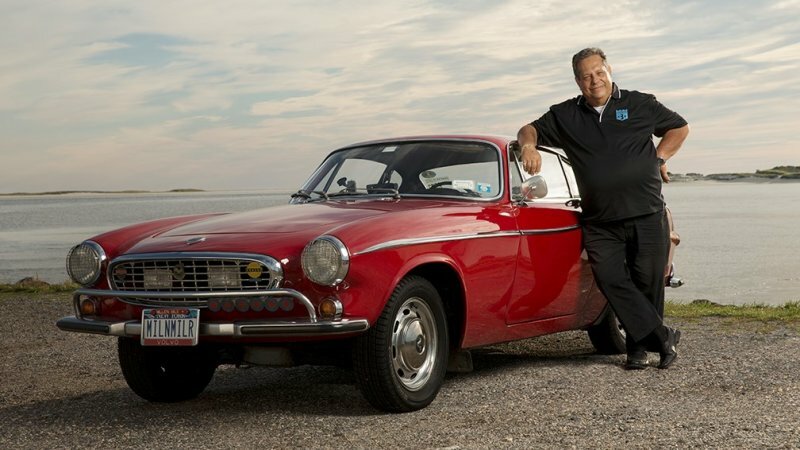 The Guinness World Record wasn’t intentional and in fact Gordon was a Chevy lover before trying his hands on the P1800S. The former schoolteacher wanted a car for his daily commute of 125 miles in 1962 and after distasteful association with a couple of Chevrolet Corvairs, he bought the 1966 Volvo P1800S for just $ 4,150. When he drove past 2,50,000 miles on his Swedish car, he came to the realisation that he did not get to change any component on his P1800S. Except for the maintenance costs, he did not spend a penny on the Volvo and in 1998 set the record for the highest mileage ever registered at 1.69 million. He personally drove the Volvo to every show he attended and reached the three million mark in May 2014 at a town in Alaska and received a special gift from Volvo – the XC60R. If not for an unfortunate incident at SEMA, he could have chipped more miles way from the P1800S that was in production between 1961 and 1973. The front-engined rear-wheel-driven sportscar had its body damaged and had to be repaired – a rare case through its lifespan. Key to the success of his journey was the fact that he serviced his car manually and stuck to the factory manual when possible. He ultimately became an inspiration for car collectors worldwide. He died in China whilst on a trip at the age of 77 and would forever be remembered for his emotional connection with the P1800S. It is something not many people have in this day and age, and it should not be that case!